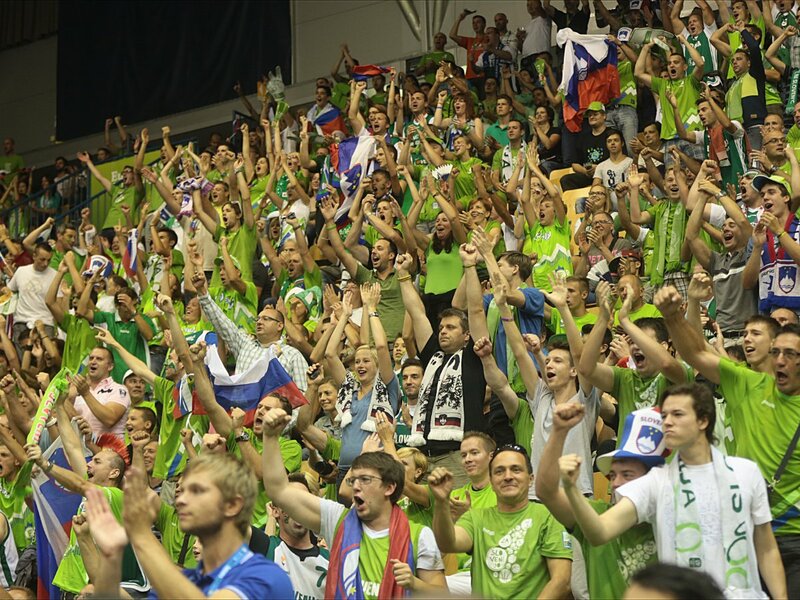 Without a doubt Eurobasket 2013 (EB) was one of the most important events Slovenia ever hosted. It was the biggest sport event with clear traits of a big MICE event. You don’t agree? It’s not hard to find several similarities with it in every event you organized. We all know it can be a challenge sometimes to organize accommodation, transfer and select the right catering partner. With a big event like this you also need volunteers, hospitality department, IT department, promotion and branding department, ticketing department and more. Everything must be synchronized. I believe we can all learn something from how it was executed. Let’s go back to year 2009. In September of that year nothing really special was happening in the country. In the beginning of the month there was a friendly football match against England. I still remember that match. It demonstrated a lot of nation values. Against all odds we were fighting until the very end and lost 2-1 after controversial decision of the main judge. It was very unfortunate, but we demonstrated we can fight against bigger nations. Later that month rumor spread, Slovenia was considering a bid for men Eurobasket 2013. In such a sport aware country it was easy to feel excitement, even if it was only a rumor. Nothing was confirmed or denied until May next year. That’s when FIBA made it official. They confirmed Slovenia decided for a candidacy along with Bosnia and Herzegovina, Croatia, Czech Republic, Germany and Italy. You could feel a wave of hope and positivism in the air. Even if only few believed Slovenia had any chance in winning against bigger countries, we would fight, like before. Only this time there was a lot of different factors to consider. If I name some of the most important they considered: size of the country, infrastructure and maybe the most important, Slovenia is a basketball nation. Some might object this last claim, but it is a team sport in which we always exceeded the most (in the last decade we always managed to qualify for quarter finals. Beside that we have a star point guard in NBA and players in best European clubs) and because of that it was easier to imagine the arenas will be full. Local organizing committee confirmed that important matches would be played in Ljubljana and first round matches in smaller cities like Jesenice, Celje, Koper, … Since there is at most hour and a half of transfer from capital to any of the cities, fans wouldn’t have problems attending games no matter where they were accommodated. Another important factor was infrastructure. In any of above mentioned cities you could find adequate arena and good hotels with restaurants nearby. Public passenger traffic and enough parking place were also important. Time passed from May until October and left only Italy and Slovenia in play. Others already folded because they wouldn’t want to meet the requirements. And when Italy folded in October 2010 because of inadequate facilities road was clear. Slovenia was confirmed as a host of Euro basket 2013 on December 5th 2010. Everything after that now seems like a distant history, but the truth is that it probably was a rocky ride full of hard work and dedication of organizers, government and basketball spirit. I am sure there was a lack of trust in their abilities at times and they felt that they will not make it. But they did it and prepared for us a true basketball spectacle. Have you had a chance to be a part of it? In every case, keep following our blog for some additional insights.